Electric water heating adapts electric heating tube to get water heated. Temperature is controlled by thermostat and can be adjusted. 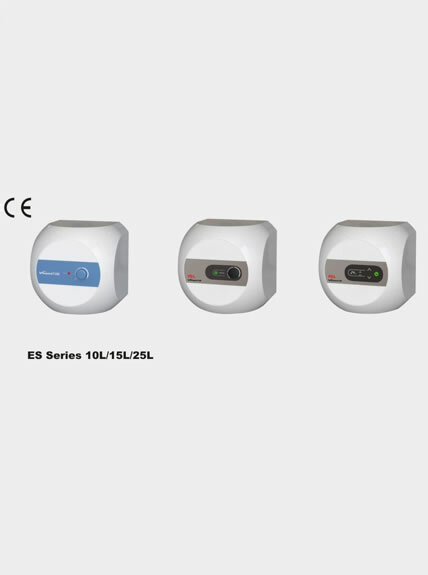 It is for household use and with capacities of 35L, 50L, 80L, 100L, 120L and 150L. The inner tank is made of magnesium rod and enamel, with strong resistance to corrosion. 1. Precise temperature controller and durable metal outer casing. 2. 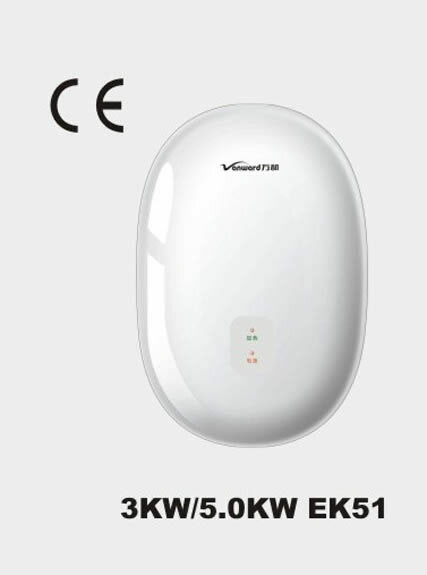 Protection against overheat, electric leakage and heating without water. 1. It is with low heat loss and advanced performance. 2. Energy utilization rate is improved, and safety can be ensured. 3. 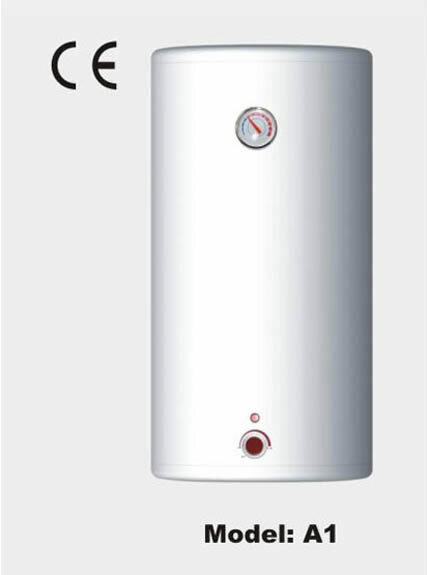 Electric water heating is easy to use and with long working life. 4. In terms of hot water supply, vertical type is larger than horizontal one. 1. Users who do not turn off power supply for years shall often check whether the water heater is in good condition or not. If there is problem, please get it repaired. Replace the temperature controller and heater every three years at the specified maintenance place when water heater works well. 2 . 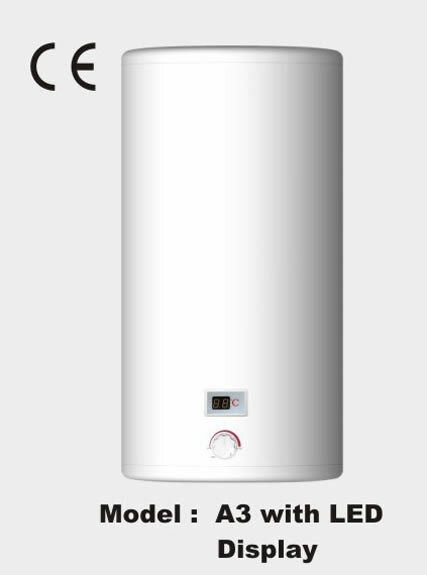 Clean the inner tank of electric water heating every half a year. Cleaning step: cut off power supply first, turn off inlet valve, turn on outlet valve, rotate the drainage switch on safety valve for 90 degree counterclockwise, empty the water and deposit of the water heater, and then clean it with tap water. Restore the drainage switch and get it charged after filled with water. 3 . Clean the blocked dirty to ensure the entrance is not obstructed when water flow gets smaller, which helps to extend the working life of China residential electric water heater. 4. Please turn off the inlet valve and power supply of electric water heating when the water heater is not used for a long time. 1. Ensure water in the heater has certain temperature and will not freeze. Otherwise, water heater will be damaged. 2. To avoid burn, you can turn on the cold water valve first, then the hot water valve; turn off the hot water valve first, then the cold water valve. 3. It is highly suggested that the tap water valve should not have hand wheel, but can use spanner type valve, so as to avoid turning off water valve by accident and shortage in water tank, which may burn electric wire. 4. Stop using it temporarily if the water pressure or voltage is too low. 5. 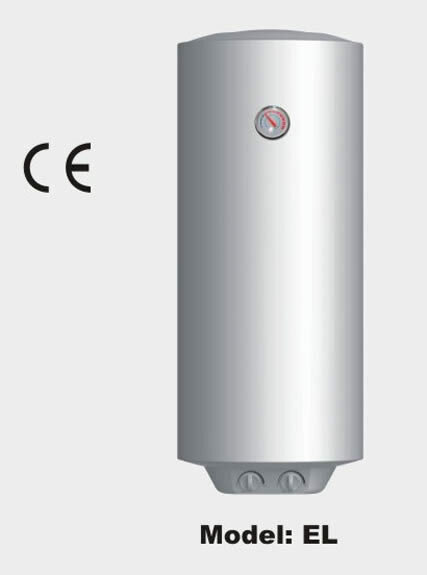 Take water consumption into consideration when choosing China residential electric water heater. For example, 35L for two people, 50L for three people, 80L for four people, and so on. Electric circuit must be safety circuit with ground wire, and be installed on solid brick wall.